Integrated neighbourhood development concept Leipzig East – bgh. After years of successful implementation of the renewal of the district of Leipzig East, there was a need to redefine the direction of the development of the district. In doing so, an even greater focus was to be placed on measures in the socially inclusive policies as well as a fundamental positioning of local politics on the integration policy of the district. 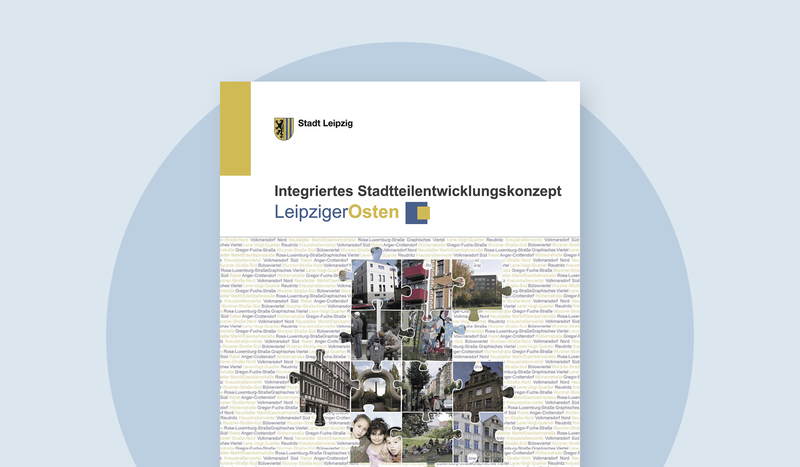 Accordingly, the “Integrated District Development Concept Leipzig East” (STEK LeO) was developed in the period 2011 to 2013 by various offices of the City of Leipzig, numerous local actors and experts from other cities. A comprehensive coordination and participation process characterized the preparation phase. Thus, the basic draft for the STEK LeO was first set in April 2011 at the strategy workshop “Leipzig East – Realignment of the integrated development strategy for the district of Leipzig East”.